While people have been raving about the importance of time tracking on PC and Mac, not many people realize the significance of mobile time tracking on Android and iPhone. Precise and dependable time tracking of organizations’ far-flung labor force pinches the hit for manually recording time. This is a surefire way to save money and time. 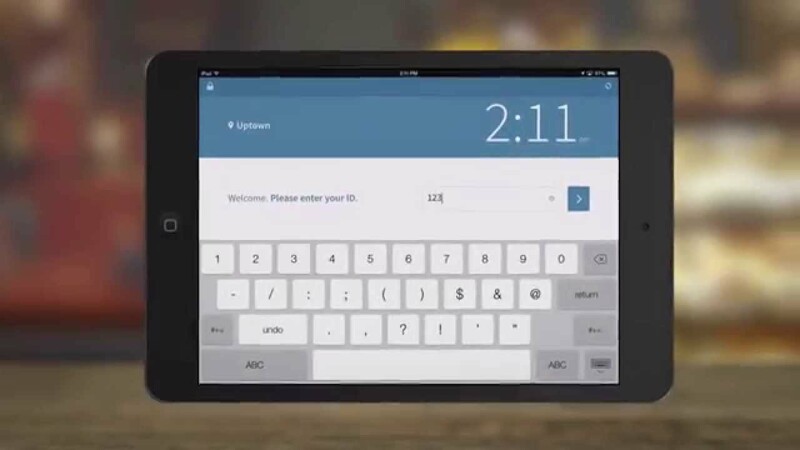 Smartphone-based time sheets offer managers with a great deal of real time data. This, in turn, gives them the ability to take informed strategic decisions. At a glance, manager can take note of who’s working on a certain project, whose dates would be available in a week and the progress of various projects. The best part is that these timesheets aren’t deleted as new ones are generated. Each one is stored securely, allowing managers to instantly access past records. The ability to obtain instant updates also facilitates intercommunication and answerability among employees. It lets them ask questions or make appeals straight away that often remain unattended or delayed. The time tracking apps are quite valuable when handling with numerous projects outside the office premises. In general, it is quite painstaking for employees to obtain access to timesheets when they’re off-site. This is particularly the case with contractors, architects, and workers of non-profit organizations that cannot sit at once place to work. However, with access to timesheets on a mobile device, many such employee problems can be resolved. Not only can employees keep their time and plan status posted, but can also administer numerous projects simultaneously. The idea of a conventional workplace is growing to be outdated. More and more organizations are now openly embracing flexible work settings. Since the old timesheet software have multiple problems to be fixed, contractors and freelancers find it difficult to gain access to office software to record time. With mobile time tracking app, such workers are given a simple and safe medium to update their projects as well as the time spent on each, regardless of the location. Time tracking has never been easier. To turn your phone calls, emails and messages into timesheets, invoices and bills, get Chrometa now! Learn how to capture iPhone calls on Chrometa or start your free 30-day trial today. Startups and established businesses are persistently growing. They want to keep up with the demanding nature and competitiveness. That being said, transformation of IT has played the role of a vital catalyst that drives change across all kinds of industries, including non-profit organizations. IT and human resources are two of the most vital components that drive organizational success. In this regard, the importance of employee time at work is a core metric that only disciplined businesses gauge. Yes, time tracking software for businesses is more important today than ever. The call for online time tracking is not narrowed down to the profit-based industries alone. Non-profit companies are conventionally more attentive about putting the latest administrative methods into operation. However, they are now keen on accepting modern software solutions that enable them to accurately track their employees’ time. Sponsors and funders generally want to be certain that their contributions will fund the right projects and reach the beneficiaries. So, with time tracking software, NGOs will be better able to track the workers’ time and hold them accountable for unproductive hours. Simultaneously, donors will be assured that the NGO values time and channelizes its efforts accordingly. Moreover, time tracking programs simplify calculations pertinent to individualistic projects for non-profit companies. When they possess accurate time tracking software, they are able to generate cost reports daily, monthly and annually to illustrate contributions. This improves transparency and accountability. Most time trackers make use of automatic timesheets that serve as helpful measure to assess performance of non-profit organization as a whole. The best time tracking software usually has a unique feature of providing all-inclusive reports. This allows managers to produce detailed reports regarding costs, performance and productivity etc. As a result, non-profit organizations are in a better position to systemize their business processes and maximize the use of limited donations. The accounting standards for non-profit organizations are usually more rigid and inflexible. Hence, the income and expenditure of such organizations should be managed and tracked likewise. With automatic timesheets, non-profit firms can track the company’s time and expenditures. This, in turn, alleviates their requirements for conformity during the auditing process and otherwise. With Chrometa’s time tracking software and app, you can capture and record time on the go. To experience passive time tracking and its benefits, get our free 30-day trial offer right away! For further queries, call us at +1 888 340 6425. Contractors are always on the go. They need to work with their team, visit sites, deal with clients and create opportunities to get more projects. Thus, it isn’t easy for them to manage all this work and keep a check on time. A time tracking program will help you stay organized. As a contractor, you have a team working at different sites. You need to communicate with them on a daily basis. With the software, you can share information in real time and keep all you members updated – all at once. The software is an excellent tool to keep a track of your work, projects, and timelines that you set. It also helps keep track of how much time you spend on working on each project. Being a perfectionist has its downsides. Don’t expect perfection in everything that you or your team members do, especially if it’s a small task. There’s no doubt that your projects should be flawless; however, if the task is too small or not that important and has been accomplished with 90 percent perfection, do not spend time bringing it to 100 percent. Move on to the next task. If there’s something that can be done by others efficiently, consider delegating. Not only does this give you more time to accomplish your tasks effectively, it will also help others learn new skills and become successful. You’re caught up in such a busy schedule, that you forget to complete the most important task of the day. To avoid such instances, make sure that you always set reminders. Your time tracking software can help you with this and will remind you if an important task is left incomplete. This is by far one of the biggest mistakes that contractors make! Why spend time creating a schedule or prioritizing tasks when you don’t intend to follow it? Always stick to your schedule. Discipline is key! This way you’ll be able to accomplish all your tasks at the end of the day. Wondering which contractor time tracking software to implement? Chrometa should be your choice! Our software is affordably priced with incredible features. We also offer a 30 day free trial for all our users. Also feel free to give this FREE 30-day trial period a try.